After completing the degree, some students decide to serve for the nation, so they choose to study for the IAS exam in the best coaching institute to become a higher official in the born country. There are 100s of IAS Coaching centers available around the different areas in Chennai. Finding the best institute to get trained for the IAS exam is not easy, and that is why we are here to help you to find the best IAS Coaching Center in Chennai near your area. 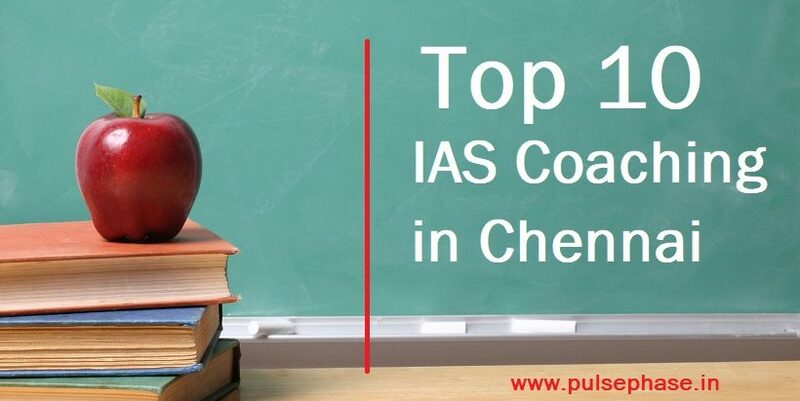 If you search on the internet, you will find hundreds of coaching centers in Chennai to get yourself train for the UPSC exam, so we listed here only the top 10 IAS coaching institutes in Chennai. With the list of coaching centers provided below, you can easily select the institute on where you are willing to join for the prelims, mains exam, and the final interview. What are the best UPSC interview questions? 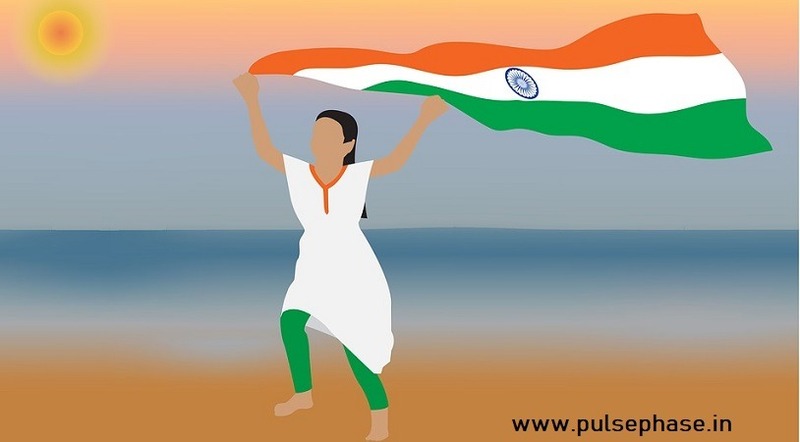 When we talk about the UPSC examination, the very first thing which comes to our mind is the mind-boggling questions and answers that we will need to crack to achieve the top spot. The examination is conducted in three different stages – the preliminary, the mains and the personal interview. All the three stages involve various subjects and other topics which the candidates will need to be knowledgeable about. It should be kept in mind that the IAS Interview Questions which the candidates will be asked by a panel of veteran IAS officers and examiners, will be tricky and will require the candidate’s full knowledge to cope with it. Based on the overall performance of smartness, skills, observation power and other character traits, the final results will be declared. So here are some of the best UPSC interview questions that have been asked by the IAS panel to the candidates. Give them a read and check what it takes to crack them. Q1. Why you aspire to become an IAS officer in India? This is one of the most common but important questions that most of the candidates are asked about. The answer to this question requires the candidate to briefly state their goals, motives, passion and the level of commitment that the candidates have for their position. This question is not tricky but you have to be really honest about your feelings. Do not try to be over ambitious but be generous about what you say. Another very important question that the candidates come across is to tell about their positive and negative strengths. It might look simple yet intimidating. So you will need to carefully make the panelists understand what are the important strengths that you have in both the positive and negative sides of your character. Answer with honesty because it is what the panelists look for. Do not brag about your skills or divert from the topic because they will not serve your purpose. The answer should be crisp and clear. Q3. How can a raw egg be dropped over a concrete floor and that too without cracking? The answer to this question will be – Concrete floors are very hard to crack!. This is an out of the box question which you will need to answer with smartness. Q4. If you had four oranges and three apples in one hand and three oranges and four apples in another hand, then what are you having? Most of the candidates would probably add up all the elements that the panelists mentioned and give a sum total of the fruits that you will have in your hands. But the answer does not lie there. The correct and best answer to this question will be “I will have very large hands!”. This is because you will need to have a pair of very large hands if you want to hold so many things. Q5. The interviewer ordered a cup of brewed coffee for the aspirant. The Coffee was sent to him; kept in front of the aspirant, then he asked, “what is before you”? The answer to this question is simple but tricky. If observed closely the interviewer asked what is before you. Right? The answer will be “T,” and in this context, Tea will be the answer. The alphabet T comes before U. So here are some of the best UPSC Interview Question & Answer that you can read about. Make sure you study well and improve your thinking and observation skills before appearing for the IAS examination. Mugging up information and details is not the way you Prepare for IAS Interview. But it must be done with great understanding and full potential of your intelligence. The best reason why you need to study for your IAS examination is the institute is providing the option to stay at the hostel for free along with the free food. All the IAS aspirants will be given the free coaching for Prelims, Mains and Personal interview. THIRU K.PHANINDRA REDDY, I.A.S is the founder and director of the All India Civil Service Coaching Centre. The institute was started in the year 2000 with the aim to provide free quality education to talented candidates. Each year entrance exam will be conducted, and the talented candidates will be whitelisted to join the organization. Stipend amount of 3000/- rupees will be given to the candidates per month for their mains exams training. Preliminary exam coaching for the IAS exams. Mains exam coaching for the IAS exams. Entrance examination will be conducted for the students who are willing to get trained in the All India Civil Service Coaching Center. Eligible candidates will be asked to join in the prelims exam training after the entrance results. Students who got passed in the preliminary exam can join straightaway into the Mains class without any procedure. As it is a government institute, candidates attending the training classes do not need to pay the money for the coaching in the All India Civil Service Coaching Center. The best thing about the Saidai Duraisamy’s Manidha Naeyam IAS Coaching Centre is they provide free education to all the UPSC aspirants throughout the course period. The founder of the institute understand that some people have a very poor financial backup and have a good talent to serve for the nation, so he started this institute to give the free training to bring those talents to the big stage. Saidai Duraisamy is the founder of the Manidha Naeyam institute, and it got established in the year December 2006. This institute is a very popular one which gives an opportunity for the students throughout the country. Not only students in Tamil Nadu but also every other state candidate can join here for the training classes. This institute is currently running under the Manidhanaeyam Trust. If you are looking for the best institute in Chennai with free IAS training courses, then this coaching center is the best one. Free UPSC training classes will be offered at the Manithaneyam IAS academy. Coaching for the TNPSC group 1, 2, and 4 exams will also be conducted here for free. On the official website of Manithaneyam institute, the registration form will be given for the candidates. Applicants need to complete and send the form to the center to confirm their place in the coaching center during the training period. As it is a free coaching institute, students can join and get the IAS exam training without any cost. Ganesh’s IAS Academy is known to be the best training institute for the IAS aspirants because compulsory test series is available for the candidates. If you want to crack the exam easily, joining in this institute will help you in the right way. Tests were conducted on both Preliminary as well as the Mains exam preparation, so every student will overcome the practical difficulties here. Ganesh is the founder of this IAS academy, and it got started in the year 2001. All the experienced teaching faculties are young and energetic, so prepare each student in the best way before appearing for their final prelims and mains examination. To provide quality education to the candidates, only the staffs who are expert in a particular subject will handle the class for the students. Guest lectures are also invited here for the training classes. Training for the UPSC as well as TNPSC exams will be given here in this Ganesh’s IAS Academy, Chennai. Following courses are offered for the IAS aspirants. Mains course in General Studies. Mains course for the Optional Subjects. Students who are willing to join in this Ganesh’s IAS Academy, Chennai can easily complete the admission procedure by filling the details given in the online form available on the website. Students need to pay the 1, 32,000/- rupees for the 16 months complete course. Optional subjects will also get covered inside this fees structure during the training period. What sets apart officers IAS Academy from the other academies present in the Chennai is the excellence. All the staffs working here to teach the students have not only cleared the UPSC exams earlier but also they served for the nation with distinction. You will get a wonderful chance to get trained by the achievers by joining in this Academy. Mr. Israel Jebasingh is the founder of the officer’s IAS coaching center in Chennai. The institute got started in the year 2013 with the aim to provide the premium education to all the IAS aspirants at the best cost. Teaching methods are followed in a unique way to make each student understand the basics from day one. All the students are encouraged continuously to study and learn the facts and concepts, rather than observing blindly. Undoubtedly the best institute in Chennai to start your IAS training today. Training for the IES, TNPSC, and UPSC exams will be given here in this Officers IAS Academy, Chennai. An IAS aspirant will get the following courses. Foundation courses for the IAS exams. Online training and classes for the IAS aspirants. Complete training through the integrated program for three years. Two years course is also available. Students who are willing to join in this Officers IAS Academy Chennai can join by filling the application form given in the website. Bank details are also given on the website to transfer the amount to the center for joining the courses. If you are planning to do the 3 years UPSC integrated program course, fees amount of 2, 15,000/- need to be paid. For the 2 years integrated course, fees amount of 1, 85,000/- needs to be paid. Compared to the other institutes in the different state, Shankar IAS academy in Chennai provides better results each year. The best reason why you need to here now is so far this institute has produced 900 IAS and IPS officers around the country with the excellence in education. Shankar is the founder of this academy and started this institute back in the year 2004. Now, this institute is one of the biggest institutes in Chennai with experienced faculties in hand. Many students who have started their training inside the Shankar IAS academy cleared their UPSC examination in the very first attempt, so you can also be the next. Training for the Banking field exams, SSC exams, TNPSC, and UPSC exams will be given in Shankar’s IAS Academy in Chennai. Completed training for the prelims, mains, and personal interview will be given to the students in the course period. All the study material will be given in the IAS coaching during the course time for all the students. Students who are willing to join in Shankar’s IAS Academy need to go to the center to fill the application form. Students will be admitted based on the first come first serve basis. If you are planning to do the UPSC training course with the geography as an optional subject, fees amount of 1, 35,000/- need to be paid. For the training with other optional subjects, fees amount of 1, 30,000/- needs to be paid. Top quality study materials will be offered here for the aspirants which are not possible to get in many top institutes. The biggest benefit in joining here is online tests will be conducted to test the ability of the students frequently to let them know their strength and weakness. Also, updated and researched study material will be offered on a regular basis along with a monthly magazine. Mr.S.Sivarajavel is the founder of this institute and was found in the year 2009. Effective Guidance for the candidates will be given here during their civil services examination preparation time. Candidates are monitored well here by the faculties and are provided the counseling to choose the proper optional Subjects. This is one of the best IAS Coaching Institutes in Chennai to get trained with, so you can join here to crack your UPSC exam. Coaching will be for the UPSC and TNPSC exams. For the IAS aspirants, online courses are available. To attend the online courses, download the application form or contact the number given on the website. Prelims training, general studies training, optional and mains subject coaching, and personal interview training will be given here for the IAS exams alone. Learners will be allowed based on the first come first serve basis. At the time of admission, two passport size photos need to be submitted along with the other required details requested in the application form. For the complete course with geography as an optional subject, the student needs to pay 1, 25,000/-. Card payment or Cash or Demand draft will be accepted during the payment time. Mr. Sampath T is the managing director of the success IAS academy and got established back in the year 2013. The faculty members are highly qualified, so they how to think from the examination of view to direct the students during the training. Periodical exams, Impeccable notes and continuous review of answers is the key power of the Academy. Complete coaching for the IAS exams including the Preliminary, and mains exams & Mock Interviews training. Prelims and Mains coaching for TNPSC Group I Examinations. Coaching classes are available for all competitive examinations. Students need to visit the center to apply for the training courses. Learners will be asked to attend the personal counseling session which will be conducted by the Managing Director to find the capabilities of the aspirant. This strategy is getting followed by the management in order to formulate the individual plan for each candidate. For the complete course, price amount of 1, 05,000/- has to be paid by the individual candidate to join for the coaching classes. Only 30 students will be allowed to attend the class at a time for better tracking. 4F, 13th Block, Jains Green Acres, Dharga Road, Jamin Pallavaram, Chennai – 600043. Compared to the other institutes, the fee amount is very less here. Students can learn what they desire to get here in the 10 months course period. Also, the batch size is just 25 which will help the candidates to concentrate well on their training session along with better follow-up from the staff’s side. Dr. K. Veeramani has initiated the proceedings to start the Periyar IAS academy, and it got established in the year 1985. Over the years, this IAS Coaching Institute has developed well with the experienced faculties in hand. If you want to choose a coaching center which has excellent staffs to train you in the geography and history option subjects, then this Periyar IAS Academy is the best IAS Coaching in Chennai. Complete training courses for the IAS examination. Coaching classes for the TNPSC and Bank exams. Courses offered for the Spoken English training and career development too. The application form will be given in the center for the admission. Students will be asked to submit the photos along with the other details during the admission process. A fees amount of Rs.50, 000/- need to be paid for the complete IAS course. The training will be conducted for around 10 months with 25 applicants in a batch. 84/1, Periyar thidal, Vepery, Periyamet, Chennai, Tamil Nadu 600007. This academy is Best IAS Coaching in Chennai known for its Individual care. If the faculties cannot finish the subject on time, they never skip the subject and go. Class timing will be extended if needed to give the best education for the candidates. Extra classes will also get arranged for the students to complete the syllabus on time and that is why this comes under the list of top 10 coaching in Chennai. Mr.K.Kamaraj who is the grandson of Shri.K.KAMARAJ( former Chief Minister of the state TamilNadu) is the founder of this institute. The institute got established in the year 2006 with the team of faculties having plenty of experience in the Civil Service coaching. Kamaraj IAS Academy Team has a power-packed team in their hand who can deliver the best education for the general studies and optional education. Join hands with the team to make your dream come true. Prelims along with the mains exams training will be conducted here. Separate courses are available for the prelims, mains and personal interviews. Foundation courses and online classes are also available. Students need to visit the Kamaraj IAS academy to complete the admission procedure. Photocopy of the provisional certificate will be asked along with your two passport size photos during the admission process. If you choose political science as optional subject along with PCM+CSAT, the fee amount will be Rs.1, 14,500. If you choose other optional subjects (except political science) along with PCM+CSAT, the fee amount will be Rs.1, 09,500.